These shows sell out people, so get your tickets early. 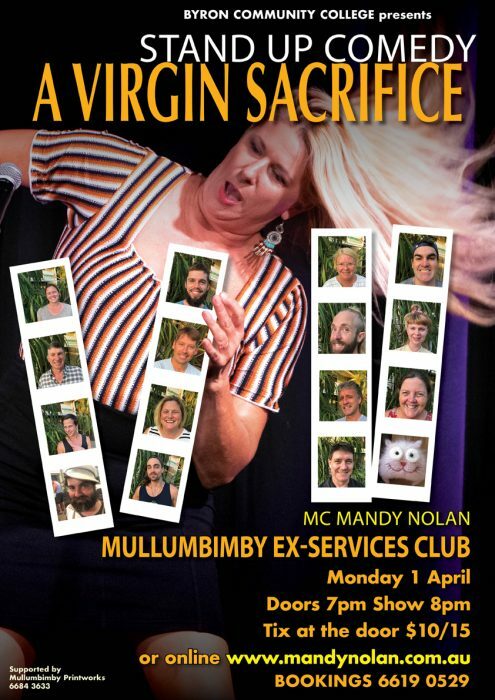 This will be a hilarious night of comedy. (or who) you may see. 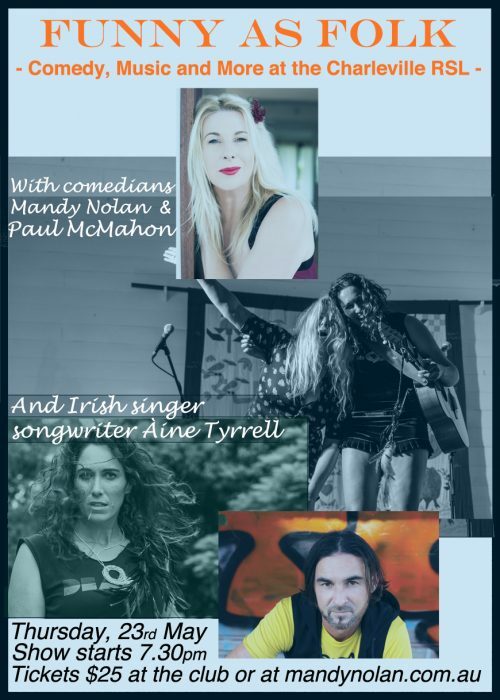 With the talented Irish Singer Song Writer, Àine Tyrrell, who will be touring her new album, Return To The Sea, with special guests the hilarious Mandy Nolan from the Women Like Us comedy show supported by comedy genius Paul McMahon don’t miss opportunity to be part of a dynamic night of entertainment.